Instagram presents a massive traffic opportunity for marketers. If you are selling any kind of merchandise, Instagram should be part of your marketing strategy. There are no two ways about it. You are leaving a lot of money on the table if you skip Instagram. Sounds awesome so far, right? Well, here's the problem: Most people who try Instagram flat out fail. They really do. It's easy to get excited about Instagram's reach, user consumption patterns, and overall traffic volume. It's very easy to get pumped up when it comes to those facts. But the problem is, most people who try marketing on Instagram fail to get the results they are looking for. You don't have to follow the pattern most of your competitors go through. You can succeed, but you have to get your mind right. Here’s where my advice for you comes in. You are going to understand Instagram marketing. You can begin to understand that if you are going to be promoting on Instagram, you're going to be engaged in a big deal. You are going to learn exactly how to build up your own credibility within your niche. To make it easy, I’ve put together a step-by-step guide that will show you exactly how it’s done... Introducing… Modern Instagram Marketing Here’s Just A Quick Preview Of What You’ll Discover Inside... 10 Key Reasons Most Marketers Fail on Instagram You Don't Have to Fail Instagram Success is All About Persona Find Your Competitors on Instagram and Reverse Engineer Them Curate Top Notch Content and Mix in Your Reverse Engineered Content Adopt a Content-First Sales Funnel Use Facebook's Ad Retargeting System to Pull Instagram Users Deeper Into Your Funnel Pay and Interact with Niche-Specific Instagram Influencers Continuously Optimize All Parts of Your Funnel Best Practices Plus, a whole lot more... This is the easiest way to actually turbocharge your results with Instagram! Who Needs This Step-By-Step Guide? If you answer YES to any of the below, you need this… You want to create a community around your content. You want to stand out from your competitors. You know that you don't have to pay all that much money to get a lot of results. You want to have the chance to increase your chances of success dramatically. You want to learn how to build a solid Instagram brand persona. Instagram presents a massive traffic opportunity for marketers. It is huge. How big is Instagram? Well, in June 2018, which is roughly a year prior to this training, Instagram reached the 1 billion user milestone. That's right, 500 million Instagram app users access Instagram every single day. That's a lot of content consumption. That's a lot of likes, comments, hashtags, and what have you. In fact, when measured in terms of per user engagement, it is easy to see that Instagram user behavior is more habitual. For example, with Facebook, many people have a love-hate relationship with the platform. They would use it habitually for some time until they read some rough updates. They don't feel too good, and they swear off Facebook for a few days, a few weeks, or even a few months. Not so with Instagram. People not only use it every single day, but they keep coming back. In fact, a lot of people check their Instagram feed every few hours. They don't feel like they're going out of their way when they use Instagram. It's very easy to understand this dynamic because Instagram was programmed from the ground up as a mobile experience. This is a far cry from Facebook which, of course, was built primarily for the desktop. Since Instagram is a mobile-focused platform, it's very easy for people to have some sort of seamless perception of it. It just becomes part of their daily routine. They treat Instagram the way many people used to read the newspaper first thing in the morning. It shows no signs of saturation because there are so many niches that can be promoted on Instagram. The bottom line is, as long as a niche is photo or video-friendly or graphically intensive, there is an audience on Instagram for that niche. This is extremely important if you have an e-commerce website to promote. Sounds awesome so far, right? Well, here's the problem. Most people who try Instagram flat out fail. They really do. If you want to learn why this is the case, jump to Chapter 1.
t's easy to get excited about Instagram's reach, user consumption patterns, and overall traffic volume. It's very easy to get pumped up when it comes to those facts. But the problem is, most people who try marketing on Instagram fail to get the results they are looking for. Here are just 10 of the most common reasons. I'm not going to pretend that this is the most comprehensive list you will ever come across. Instead, this list sums up the most common ways people slip up on Instagram. A lot of people who have access to marketing budgets are very impatient to promote their online store on Instagram. They just jump in with both feet. They're clueless as to what they're doing. All they know is that they have a lot of money to spend, so they pump out ad after ad after ad. After all the money has been burned through, they have very little to show for it. The reason for this is because they believe that they can just throw money at the problem. Well, the bottom line here is return on investment. Sure, you're more than welcome to spend a tremendous amount of cash on a massive Instagram ad marketing campaign, but it's anybody's guess whether you will be able to meet ROI targets. You can't just rely on the fact that you have a lot of money to spend. Believe it or not, even if you have a very modest or even small budget, you can still walk away with better results than a better financed marketing campaign. The difference? 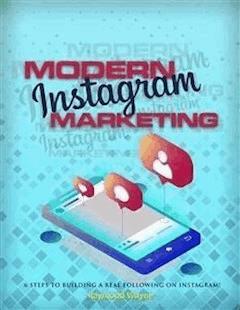 It all boils down to how systematic and methodical you are in running your Instagram ad campaign. A lot of people think that Instagram is just a traffic source. You can tell from their marketing campaigns because they would create a profile with a home page link that doesn't go to their home page. It goes directly to a sales page or an email recruitment page or squeeze page. What do you think happens? That's right, a whole lot of nothing.